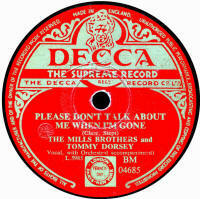 British 78rpm record labels whose name begins with D. Using the letter links below you can see pages for other letters. Dacapo Originally a German-only label, launched in 1907, Dacapo appeared in Britain in 1910 with a catalogue starting at 1, priced at 2/6 (12.5p). The label was not dissimilar to Zonophone to look at; presumbly a deliberate ploy by the German company. The London agent between 1910 and 1912 was William Barraud and the musical director for London recordings was Victor Opferman, formerly of J.E. Hough's Edison Bell Company. 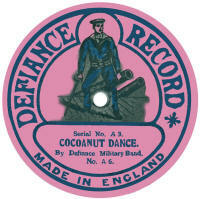 In March 1912, 12" Dacapo records costing 4/- were announced. The prices were reduced in the autumn of 1912, mainly due to a price war triggered by Lindstrom's introduction of Coliseum & Scala records at 1/6. Dacapo records were then priced at 2/- for 10" records and 3/- for the 12" ones. 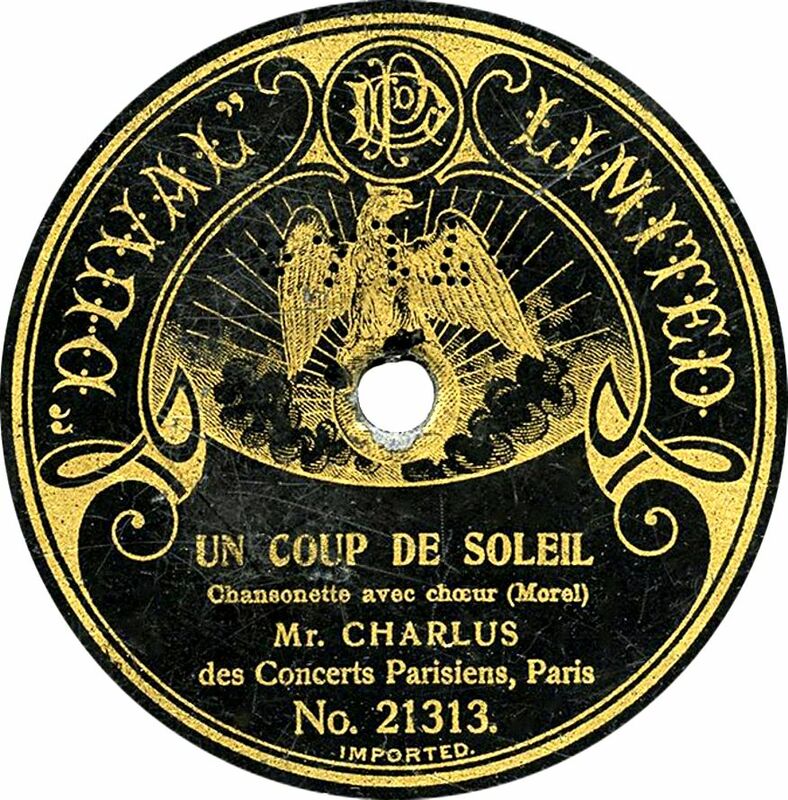 In 1913, the company became part of the Carl Lindstrom group, but the manufacture of Dacapo records was never switched to Britain; all Dacapo records were made in Germany. 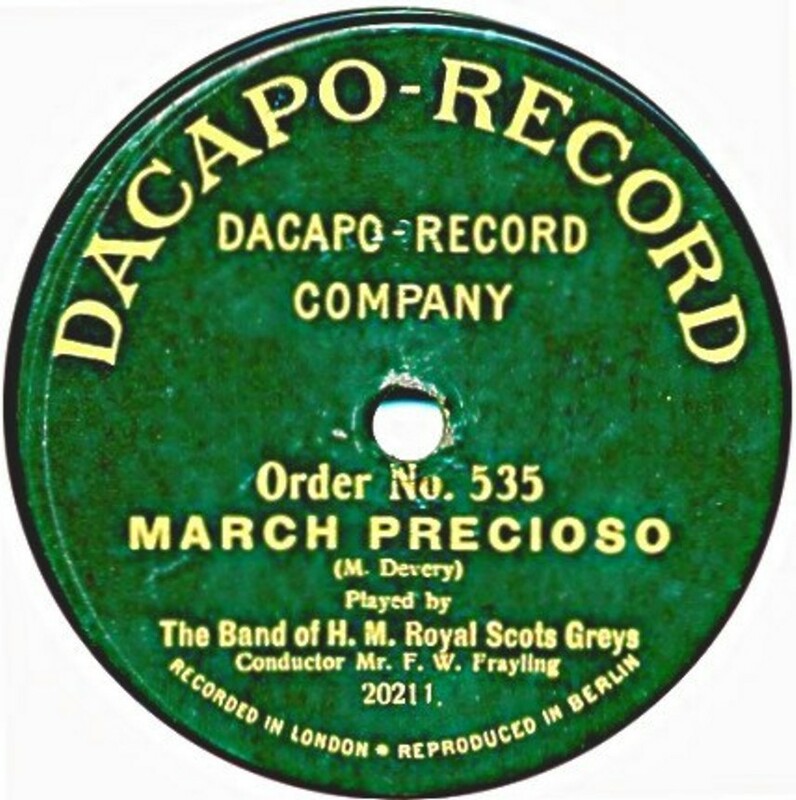 Sales of Dacapo records to Britain ceased on the outbreak of WWI with some later issues (presumbly residual stock) having the place of origin (Berlin) expunged from the label. 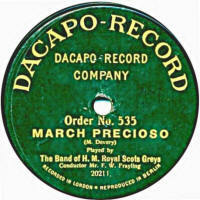 Most British Dacapo issues were Dacapo original recordings, though it would appear masters from other German record companies were sometimes used and given Dacapo master or control numbers. 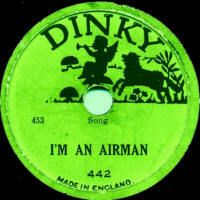 Thanks to Bill Dean-Myatt for the label scan, showing the design for the 12" records. 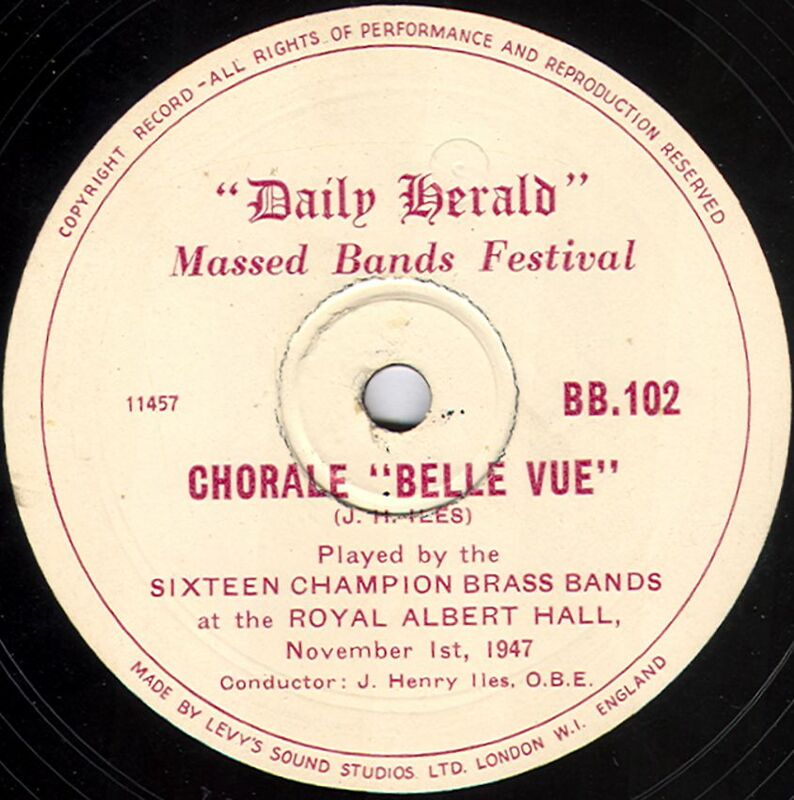 Daily Herald Thanks to Bill Dean-Myatt for the label image. 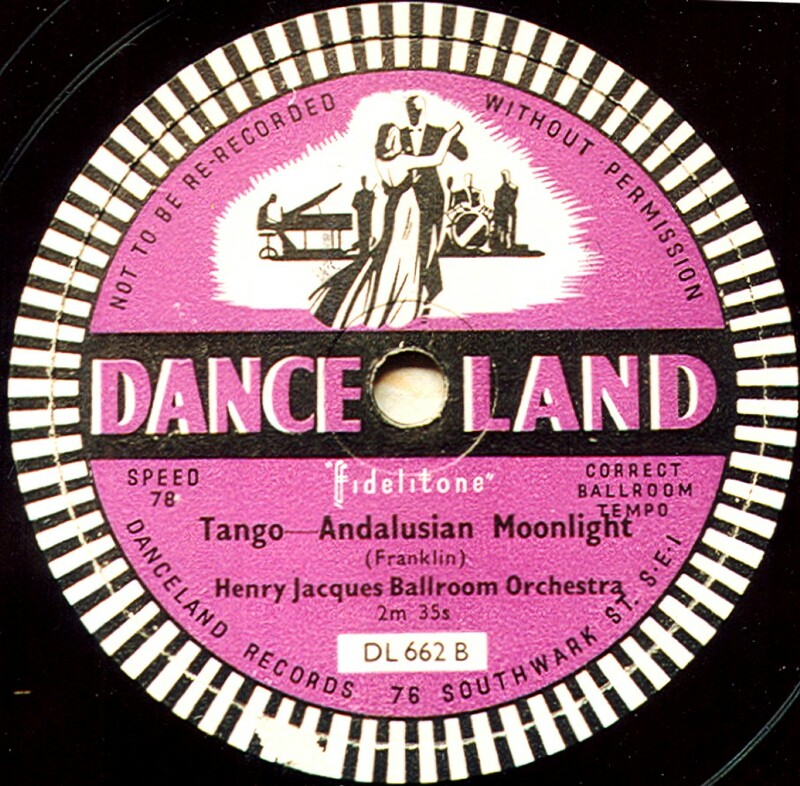 Danceland Danceland records first appeared about 1948 and were a result of differences between the Association of Ballrooms and the record companies regarding licences to use gramophone records in dance halls. The records were in both 10" and 12" sizes and were recorded by Master Sound Systems (MSS), using their "ffidelitone" system and also by Gui de Buire (and probably others). 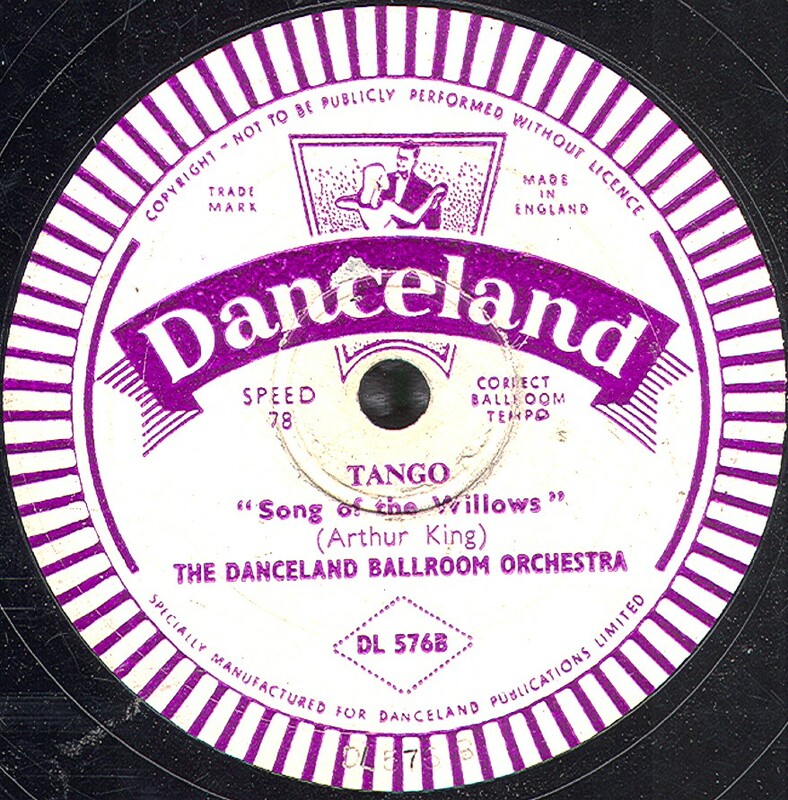 There were a number of designs and colours and series, usually depending on the type of dance on the record. 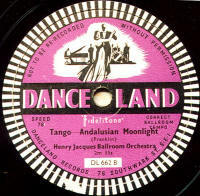 Many had a strobe around the edge of the label to ensure the correct tempo when played. In 1951, the price of records is known to be 5/- for the 10" records. Darbycord If anyone has any information about this, or other records with this label, I would very interested to know more about this. Darling's Dream A little-known label which dates from pre-WWI and was one of the many German-produced records for export to an English-Speaking market, possibly Britain. Having now actually seen one of these, I know they are 7" diameter records, which is likely to mean they are very early, say pre-1908. 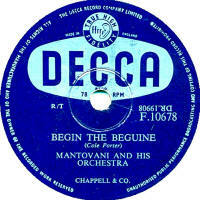 Decca Decca had been manufacturing gramophones in Britain since 1914, but didn't enter the record business until 1929. Despite the economic situation, the record company flourished and signed many established big names such as Ambrose and Jack Hylton, also giving chances to new names like Roy Fox, eventually becoming the only other major record company with EMI. Note regarding master numebers: GA/GB- series were recorded at the Chenil Galleris, TA/TB-series at Thames Bridge, DR-series were a continuation of the Rex label R- series foillowing Decca's takeover of Crystalate in 1937. Initially, theere were two disctinct series: the standard series with blue labels had F- prefixes for 10", starting at 1500. 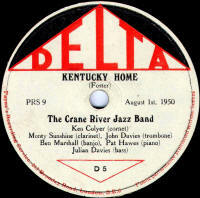 The label design changed little over the years until the mid-1950s when the silver-on-blue design shown here appeared with the famous "ffrr" ear logo. The equivalent 12" series had a K- prefix, but the labels were brown initially, before changing to blue like the 10" and later red. The more expensive series was fairly short-lived: the M- series (Magenta) for 10" and the T- series for the 12" with the same design. Later M-series issues had a rec label (see examples). 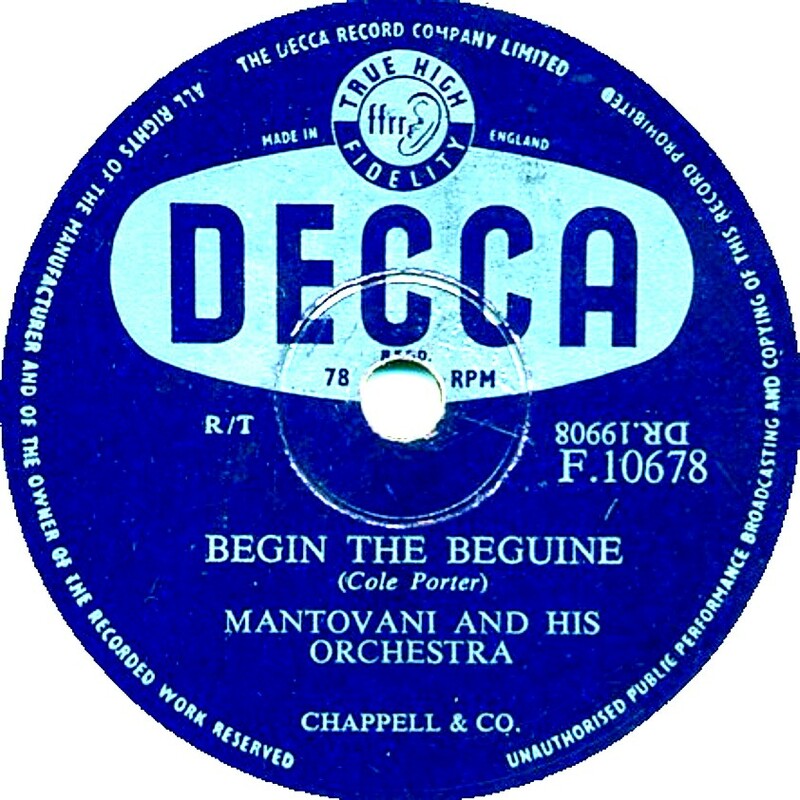 For classical music there were a number of series & colours all linked to Decca's agreement with the German Polydor company. 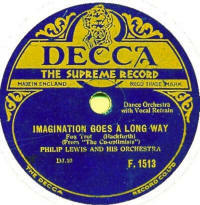 Full listings of the various Decca series have been published by the CLPGS. 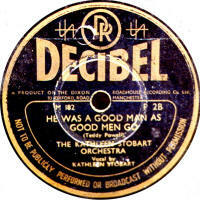 Decibel According to the label, these were produced by The Dixon Roadhouse Recording company of Manchester. Probably dating to the 1940s or 1950s, the ones I have seen are of trad. jazz or big band material. 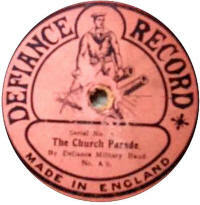 Defiance Defiance records were a very short-lived venture by a company called W.H. 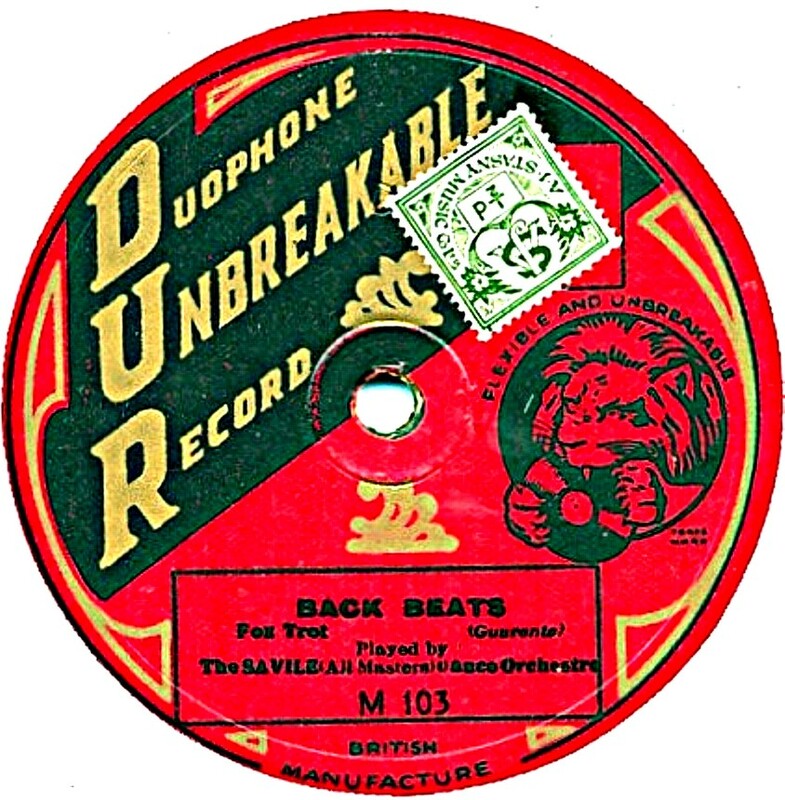 Reynolds Ltd, who took over the defunct Disc Record Company's Harrow factory in 1915, following the DRC's demise a few months before. They announced that they were planning to produce Defiance records, made from a new unbreakable material called Renoplex, and 24 records were listed in a press release. None of these has yet been found in recent research. The image shown here is a composite, based on a rather poor monochrome copy and a description of the colours. It has been cleaned up, thanks to some excellent and painstaking work by Norman Field & Steve Walker, but can only be a guide until an actual record turns up. 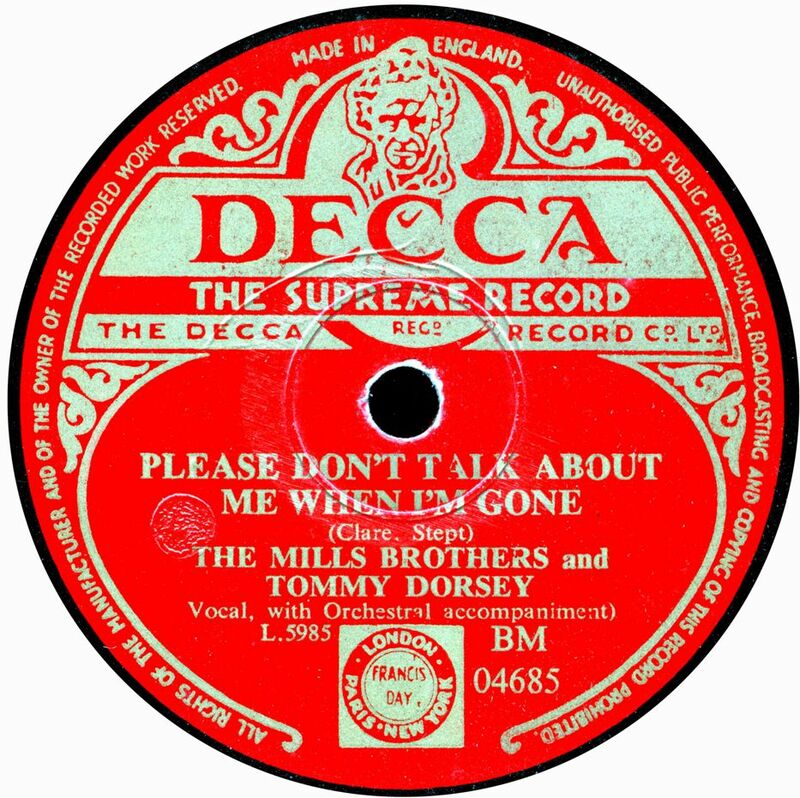 As a matter of interest, though, he has given the details of the record; it seems they have control numbers and catalogue numbers in addition to the original master numbers, which will identify the source, which could be anything the Disc Record Company left behind on vacating the factory! 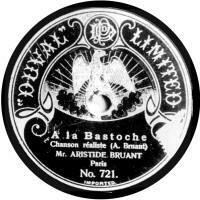 The catalogue number is indecipherable, but is probably A5, but the master numbers show the source is ARC (American Record Company) whose masters were used by the DRC on other labels such as Britannic. According to Frank Andrews, the catalogue ran from A1 upwards and a list of 24 sides was printed in a trade magazine in October and December 1915, and he has identified 19 of those sides being of ARC origin. He also mentions an anonymous CLPGS member who he believes has some Defiance test pressings, without labels. Please e-mail me with details of ANY of these records. Also any more label scans. Degel This would appear to be of Hebrew recordings, dating from 1946, and the record was recorded and made by Levy's Sound Studios. There is no catalogue number, so it may be a one-off issue. 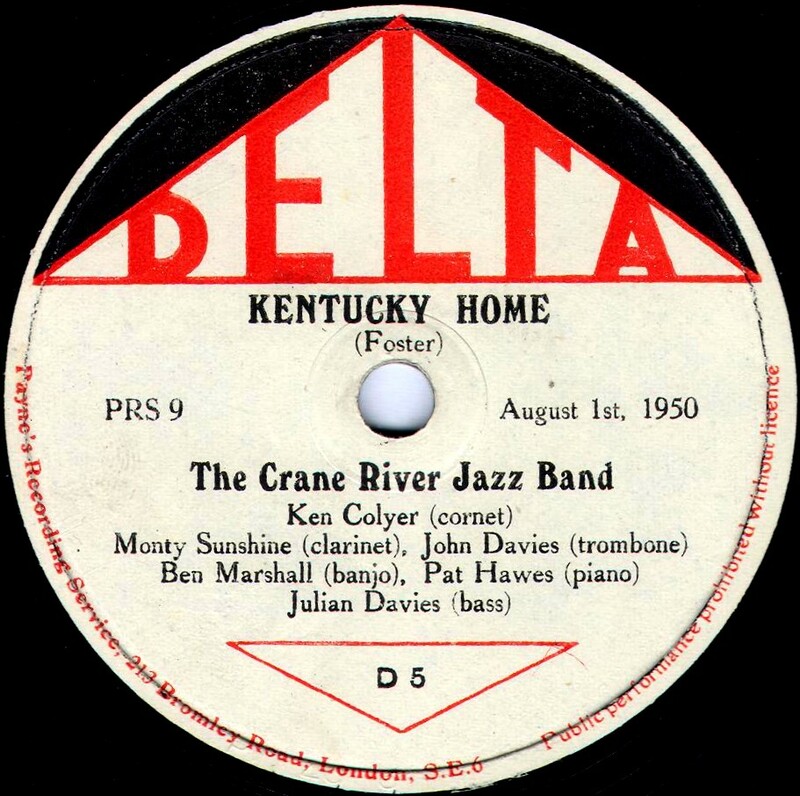 Delta A post-WWII jazz label first appearing in October 1948, the Delta label was owned by Mike Daniels and concentrated on British and European Traditional Jazz recordings, many by Daniels' own jazz band. Initially pressed in vinyl, they were expensive at 9/- for 10" records and 11/6 for 12", but subsequent pressings were in shellac, and were probably slightly cheaper. 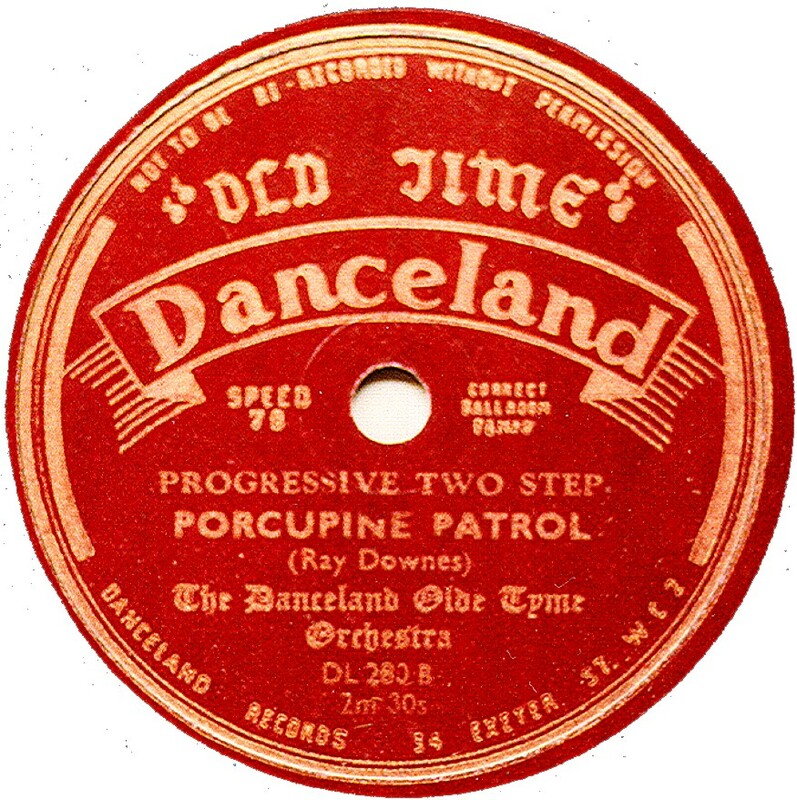 They were recorded by Payne's Recording Services and were available from Payne's music shop of 213, Bromley Road, London and from jazz clubs and specialist dealers. 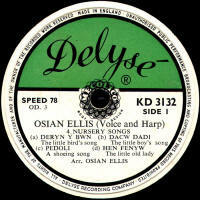 Delyse The Delyse Recording Company of Wallington Road, London, was owned by Isabella Wallach, the grand-neice of Fred Gaisberg, the Gramophone Company's first recording expert. 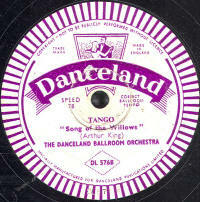 All examples seen are of Welsh language, and date from the mid-1950s; the records being manufactured by Levy's Oriole record Company. 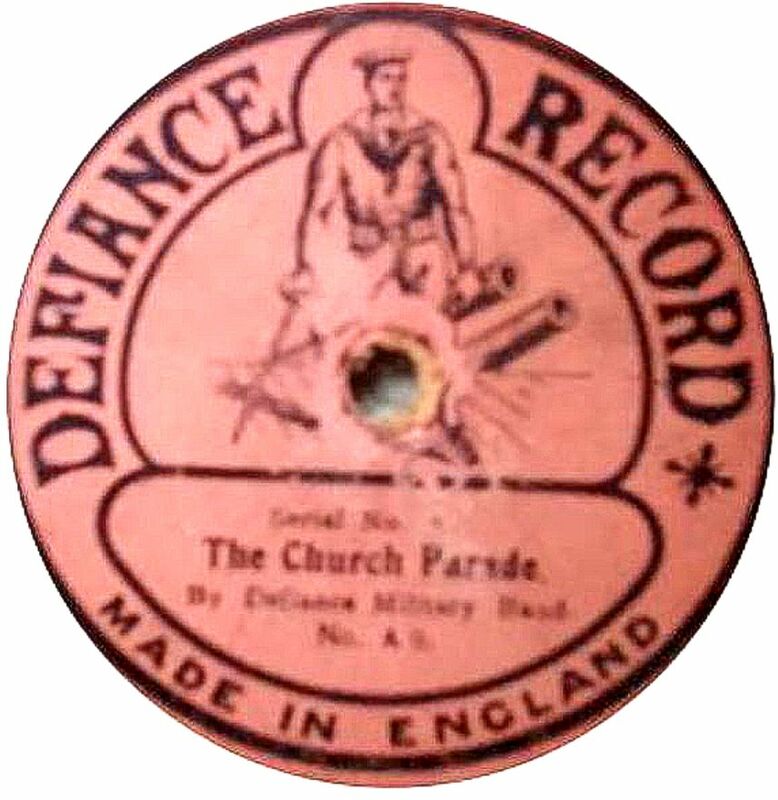 Derby A 10" record dating to about 1914, manufactured in Germany (Prussia) for the British market, including some British recordings. 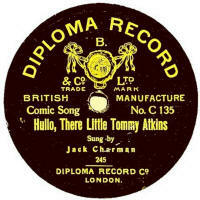 At that time, William Burman, of City Road, London was the sole agent for these records. None have been seen recently, and their production would have been curtailed by the outbreak of WWI that year. Frank Andrews, in Hillandale News 229, says the label shows a horse and jockey, not unlike the "Winner" label's design, and thinks the source recordings may have come from the Turmalin Company. Diamond The first known Diamond label used Kalliope masters, and was pressed In Germany for J. Blum & Co. (see first image). It dates to pre-WWI (probably early 1914). However, Frank Andrews reports seeong one pressed from Edison Bell masters. These Diamond records were never advertised on the trade journals of the time, which could imply they were sold door-to-door on the "tallyman" system. Then there was a 10½" vertical cut disc produced by Pathe from 1915 for the Diamond Disc Record Company Ltd of 81 City Road London. 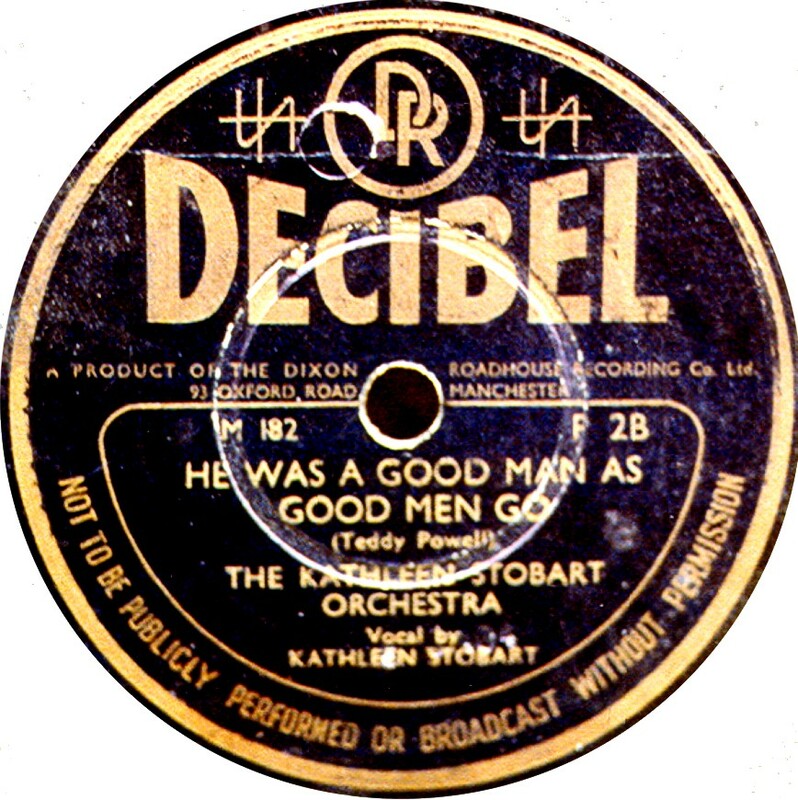 Like Pathe records of the period, it initially had no paper label, but the details were etched in light blue in the label area (see 2nd image). Unlike Pathes it was an "ouside start" record. They were cheap at 1/6 each. In 1916, Pathe took over completely and for the next few years the record had paper labels until it's demise in about 1918. There may well be a third label, dating to the pre-1920 period, but only a sketch for the design has ever been seen, and it is very similar to the first one above so may just be a prototype design for it. 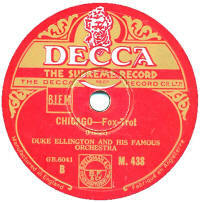 This desogn was submitted for registration by The Beka record Co in 1912. 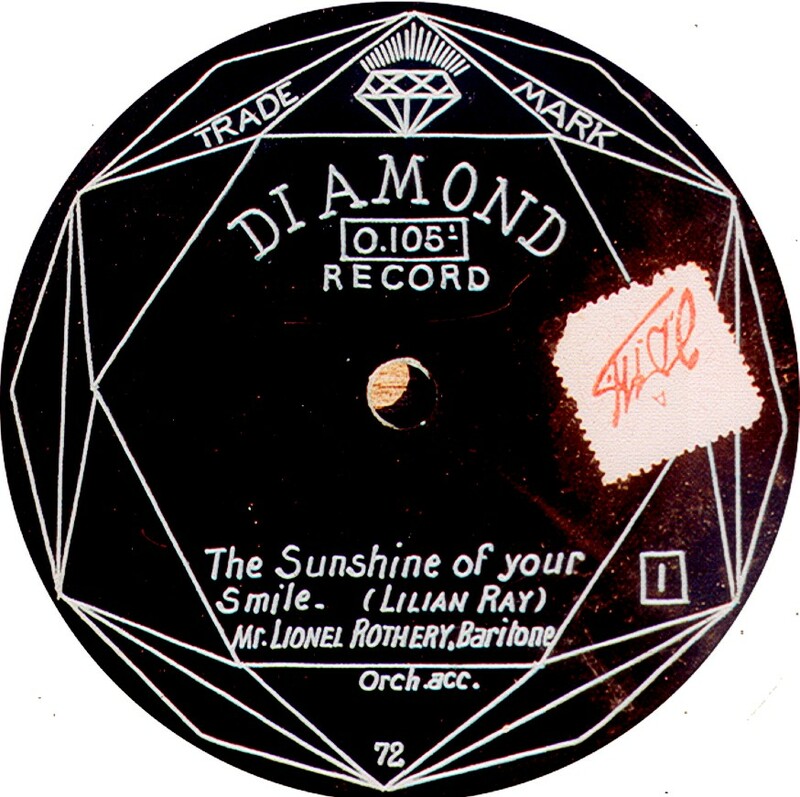 (Flexible picture disc) A rare flexible picture record available at irregular intervals from 1930 until about 1935, Diamond records, like their forunner above, cost just 1/6. The records were very similar to (and shared a patent with) the similar "Trusound" picture records, and you could have the record custom-pressed with your own choice of picture pressed between the clear plastic sides. Dinky An Edison Bell product, rather like the small "Bell" record, Dinky is very much rarer, though was probably available during the same time span. The only examples I have use a 3-digit catalogue series in the 400s, and the record is a little under 5½" in size. Diploma One of the many labels available in Britain before the first World War, first appearing in August 1911 and pressed for J. Blum & Co, and costiing 2/6, a pretty standard price for popular records at the time. Blum did not sell records directly tot he public, but waa a factor providing records for businesses that wanted to sell their own records. For about the first year Diploma records were made by Edison Bell using their existing matrices from Bell & Velvet Face discs. 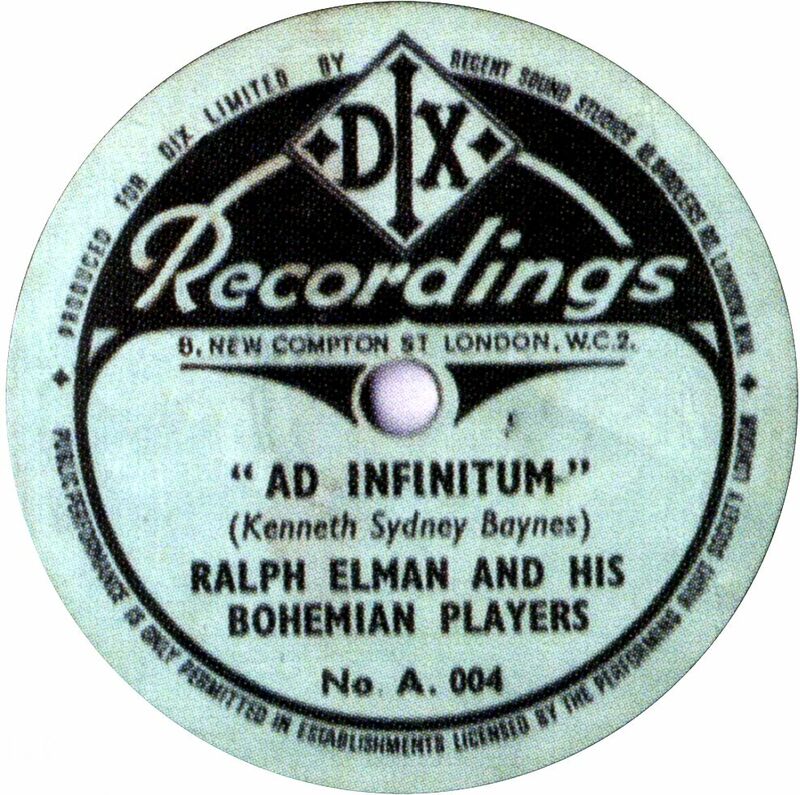 In the summer of 1912, Blum entered into a contract with Kalliope Company in Saxony, Germany, to provide recordings & press records, some of which were recorded by Blum in their Old Street, London, studios. It is understood that this was an exclusive agreement, but when Blum found out that Kalliope was using his (Blum's) masters to press records for other clients, he terminated the agreement and found another German manufacturer, currently not identified, to press records. The labels then state "Made in Prussia", so it could be that Lindström was the company making these records. 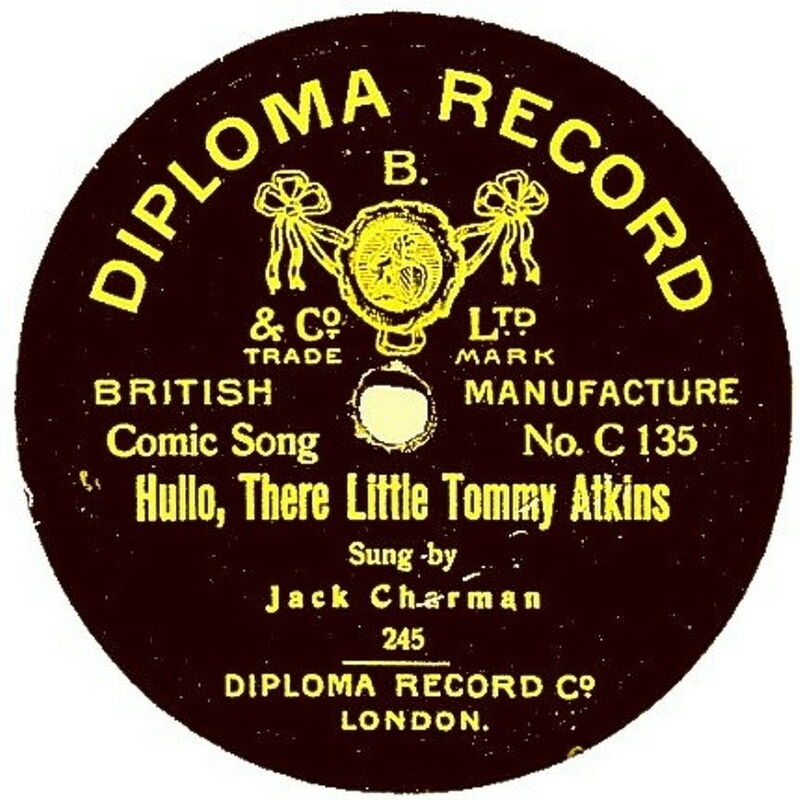 Following the outbreak of WWI, Blum had to find a British manufacturer and the later Diploma records were made in Britian by the Disc Record Company, of Harrow. Both Blum and the DRC went out of business in the spring of 1915. 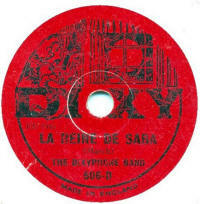 Dix Dix was a music publishers, established over many years. This would appear to be their house label, probably dating from the 1950s. 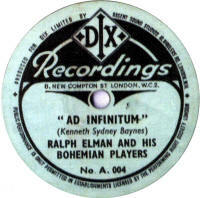 The recordings were made by Regent Sound of Denmark Street, London. Thanks to Bill Dean-Myatt for the frist image; th second if from "For The Record" No. 44, and I've included it as it has a coloured background, though I don't know if the one Bill supplied was from a monochrome image anyway! 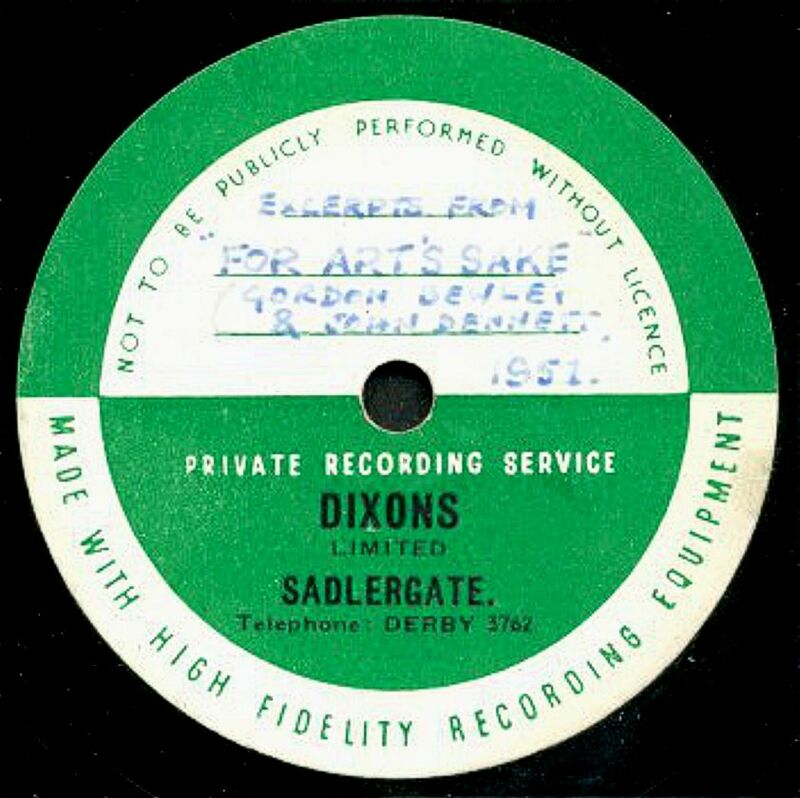 Dixons A Private recording serice based in Derby. Thanks to Bill Dean-Myatt for the image. 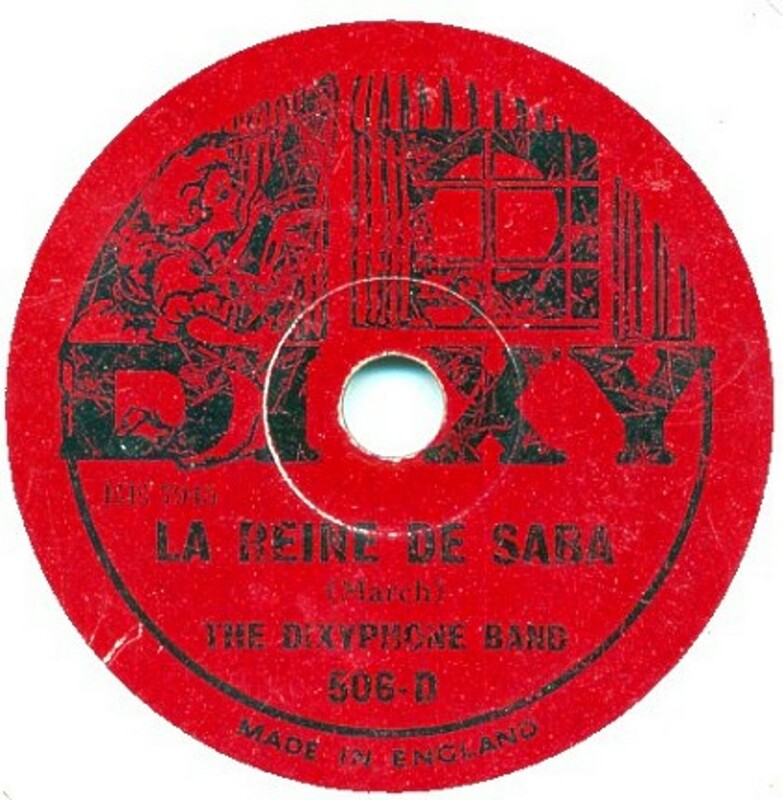 Dixy Dixy was a 6" record produced by The Gramophone Company during the mid-1920s. All were acoustically recorded. 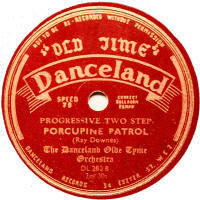 The dance band items seem to all be by an orchestra, sounding rather old-fashioned and raggy for 1925-6. Numbering started at 501-D and it is believed only 25 different ones were issued. 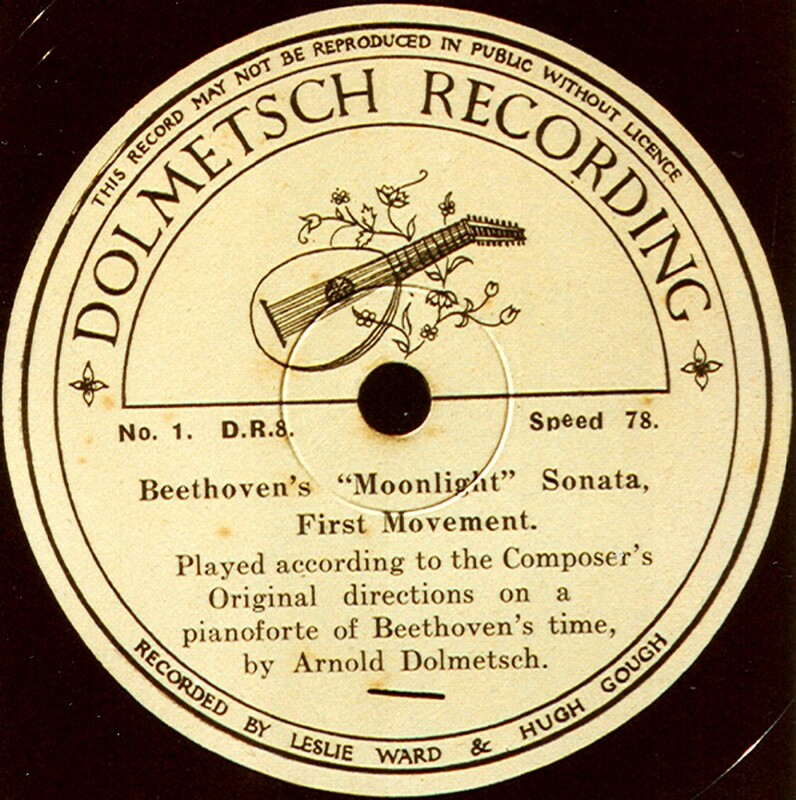 Dolmetsch The Dolmetsch family were makers of various keyboards instruments based in Surrey. 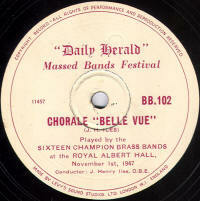 The records bearing their name date to 1937 & 1938. They were 10" size with a catalogue series numbered DR-1 upwards and cost 4/- each. 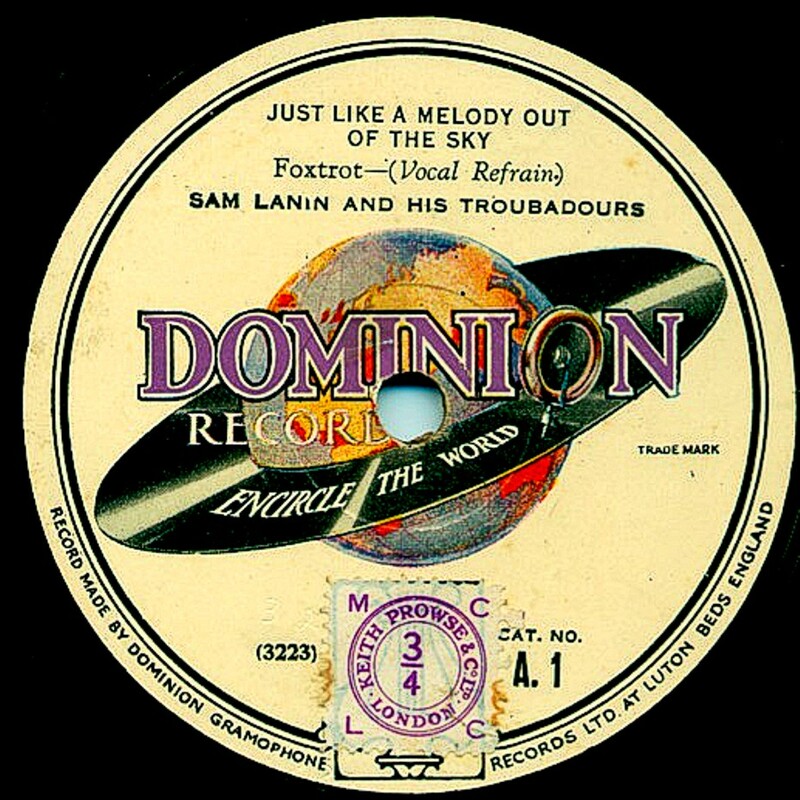 Dominion Dominion records were produced between 1928 and 1930. The company was part owned by Cameo records (of America) and the records seemed to be made of the same rather poor quality material. There were three series; the cream-labelled A-1 to A-267, the blue labelled "classical" B-1, and the C-300 series mainly with red labels. 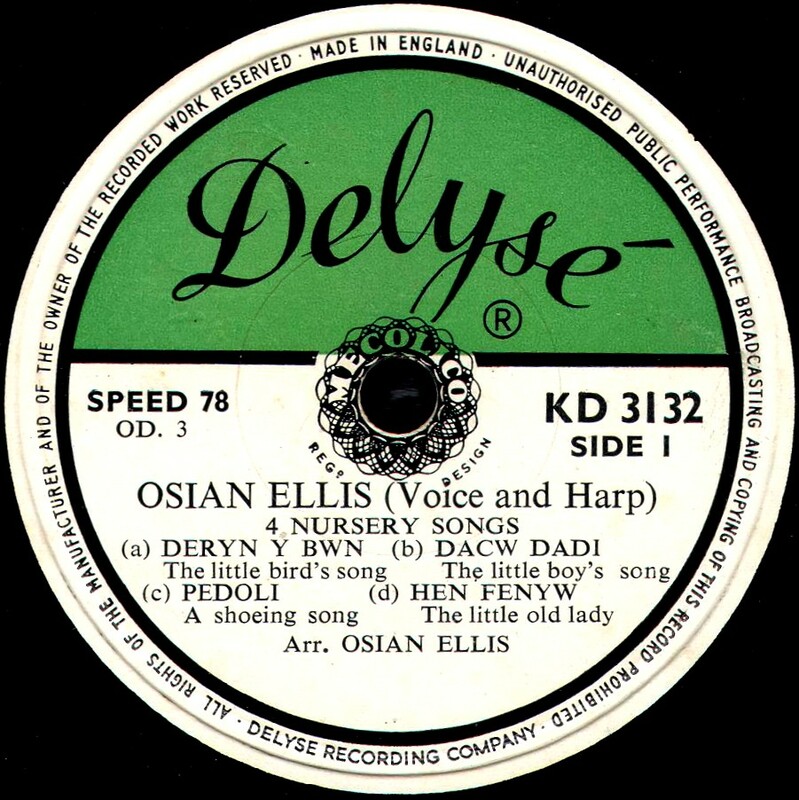 Donaldson's Thanks to Bill Dean-Myatt for providing the label image. 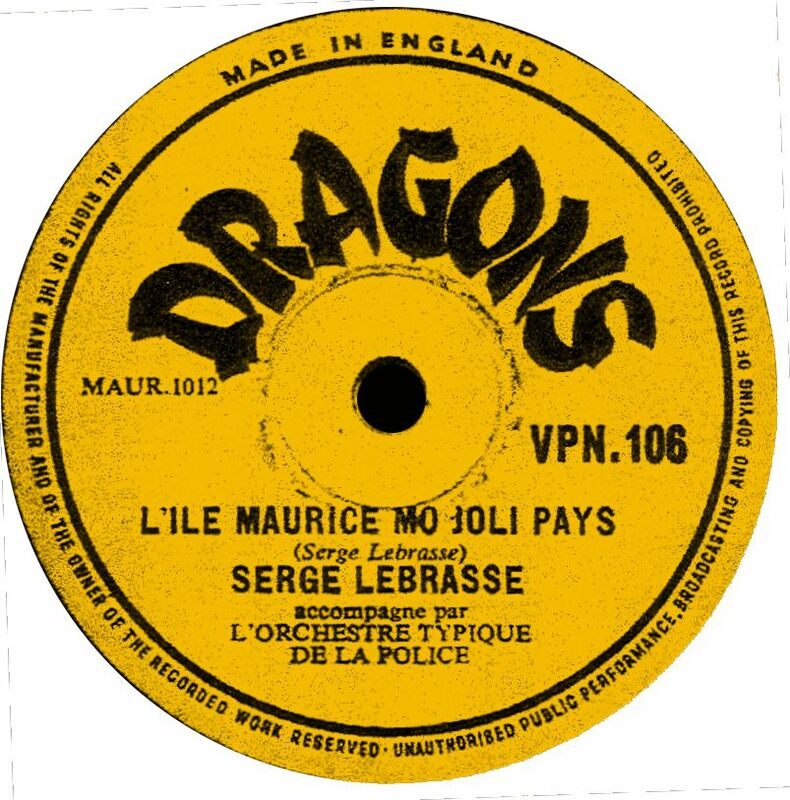 Dragons Thanks to Bill Dean-Myatt for providing the label image. 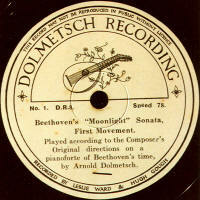 Dreadnought A paste-over label dating from WWI, used as a way of selling off German-produced records during the war. The only one so far reported was pasted over a Coliseum record. 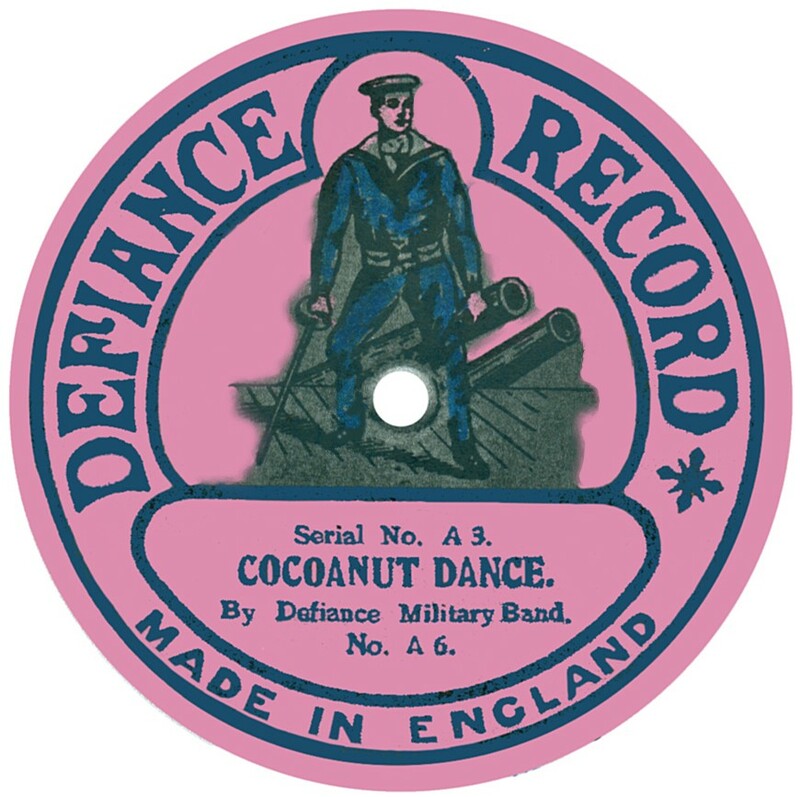 One oddity is that the "Dreadnought" label proclaims "Genuine British Manufacture" bu the underlting Coliseum record states "reporoduced in Prussia", so it seems likle that this was one way of disposing of German-made records following the outbreak of WWI. A label scan would be gratefully received! Drury A local record company based in Rochdale, presumably dating from post-WWII (see scan). 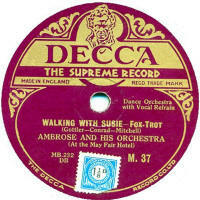 Rather oddly, the label leaves no space to include the details of what is on the record itself ! Duophone A rather eccentric record label, with more different series than you can shake a stick at! They were made of the usual shellac to start with before Noel Pemberton-Billing devised the unbreakable manufacture involving a layered paper core covered with some sort of plasticised rubber. Unfortunately for us, this material has tended to perish with age and they have become probably the most fragile records you can find ! Durium Britain's equivalent of "Hit-of-the-Week" records were available, like their American counterparts, weekly from news-stands. They were only available between April 1932 and January 1933, however. Made of cardboard with a thin celluloid coating, the recording quality was quite good, but a bit thin, probably due to the fine grooving to allow two (almost) full-length tunes to be put on one side. 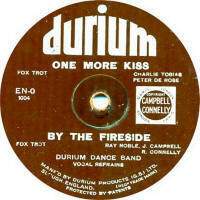 The main British series ran from EN-0 upwards and were mainly British matrices, with just a handful of American ones, some from Hit of the Week, and some recorded in America specifically for Durium in Britain, the latter being very rare as they were quickly withdrawn due to some copyright or contract infringement. Other series were also produced along with many smaller records for advertising; see my listing for more details. 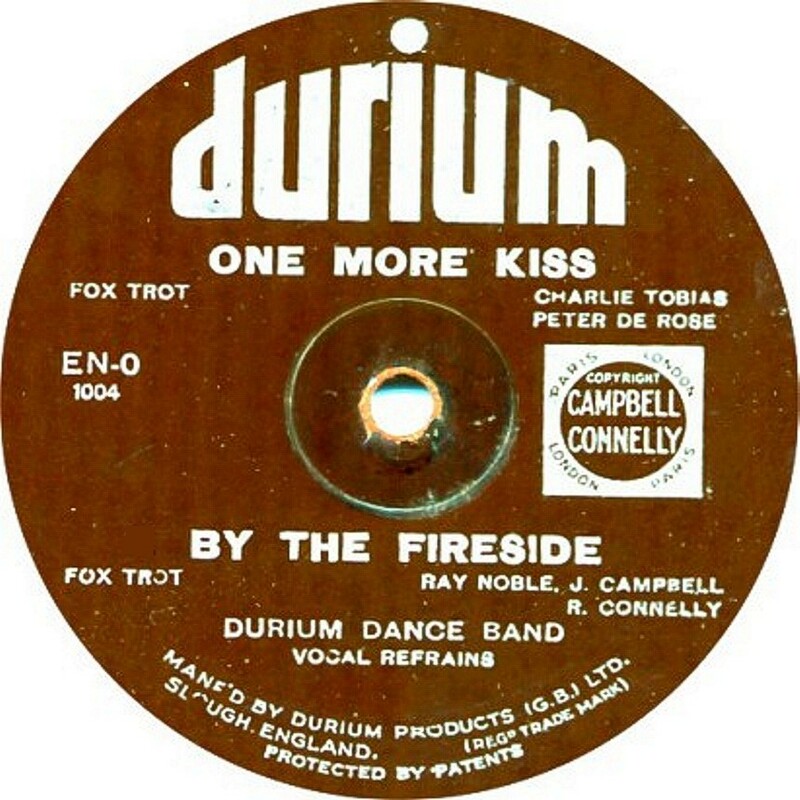 In the 1950s there was another Durium label, made in England, which contained Italian music recorded by Durium of Italy (see second image - thanks to Bill Dean-Myatt for this image). Click here to view Hans Koert's weblog about Hit-of-The-Week and Durium, and click here to see his online discographies of the various Durium series. I have now transcribed Hans' research on to my own page; to view this, click on the label name to the left here. Duval The company Phonograph Duval Limited was incorporated in London in 1904 as a continuation of the business started by M. & Mme. Duval in Paris, France. This business concerned the manufacture and sale of phonographs, gramophones, accessories and disc and cylinder records. The cylinders appeared in 1905, described as indestructable and made of a material called "Gommonite". Even Frank Andrews in Hillandale News No. 209 admits to knowing next to nothing about the Duval disc records: when they were produced, by whom, where they were sold and for how long. The fact that the text is in English (including the word "imported" at the foot of the label) implies they may well have been sold in Britian. The company was wound up in 1909. The image is taken from Hillandale News 210. Frank describes the label as being black with gold printing. A good scan of an original label, plus details of any other issues or more information about this record label would be gratefully received.